Dr. Gwo-Chin Lee discusses the advantages and limitations of ceramics as a bearing surface and provides an overview of the available clinical data on the use of ceramics in THA. Total hip arthroplasty (THA) has been shown to be reproducible, durable, and reliable in relieving pain and improving function in patients with end-stage arthritis of the hip joint . However, while improvements in materials and prosthesis design have enhanced our ability to reliably achieve implant fixation, wear and osteolysis remain problematic [2,3]. 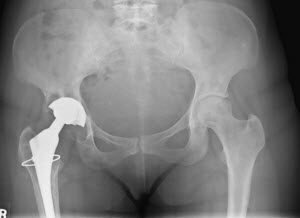 Furthermore, with an increasing number of young patients undergoing THA , improved durability of hip implants over conventional metal-on-polyethelyne (CPE) may be necessary. Historical discussion surrounding alternative bearings choices in THA have focused on the use of ceramics and metal-on-metal hip (MoM) articulations. Although both bearings have excellent in vitro wear characteristics, reports of adverse events following MoM hips have included pseudotumors, metal hypersensitivity, and early osteolysis and loosening. This has led to a significant decrease in the use of metal-on-metal bearings and has introduced doubts as to the viability of metal as a bearing choice, even for young and active patients . The purpose of this paper is to present an argument for the use of ceramics in THA. Ceramic articulations have been used in THA for more than 3 decades. Improvements in materials and manufacturing have increased the reliability of modern ceramics. With good biocompatibility and excellent in vivo and in vitro wear characteristics, ceramics have become the only safe and feasible alternative bearing surface in THA . Ceramic articulations have been shown to have excellent in vitro wear characteristics compared with other bearing surfaces (Figure 1). Even with the improved wear characteristics of highly cross-linked polyethelyne, ceramic-on-ceramic bearings continue to show the lowest wear rates [3,7]. Unlike metal-on-metal bearings, ceramic bearings are biocompatible; the wear debris generated is relatively inert. The particulate debris resulting from wear in ceramics – mainly in older designs – have been associated with osteolysis and have been shown to induce inflammatory, even cytotoxic, reactions at a cellular level. However, these reactions are often significantly less severe than those caused by their metal-on-metal or even metal-on-polyethelyne counterparts (Figure 2) . Ceramics are inherently hydrophilic, a desirable property in materials used in arthroplasty. A hydrophilic material will exhibit wettability and provide a favorable fluid film thickness to maximize lubrication and minimize surface roughness between articulating surfaces (Figure 3) [6,7]. Figure 1. Linear wear rates of various bearing surface options. Ceramic-on-ceramic couples have the best wear rate of all the bearing surfaces. Figure 2. AP pelvis radiograph of a 39-year-old woman 8 years after right conventional (metal-on-polyethelyne) total hip arthroplasty. The radiograph shows polyethelyne wear, eccentric femoral head, and severe acetabular and proximal femoral lysis. Figure 3. Wettability of ceramics. One of the advantages of ceramics is that it is hydrophilic and wettable (left) compared to conventional metal (right). This material property promotes lubrication, a desirable property in hard on hard bearing surfaces. Consequently, ceramic articulations exhibit favorable wear, material, and biocompatibility properties, which make them well suited for prostheses designed for durability. Despite the aforementioned characteristics, concerns over reliability (ie, fractures) and squeaking have prevented widespread adoption of ceramics in hip replacements . Fractures tend to occur early in the life of the implant, with 75% of the reported fractures occurring within 4 years of THA. Figure 4. Fracture rate of ceramic ball heads in relation to ball head size. 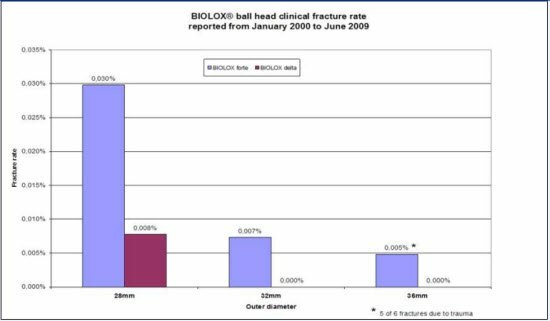 The reported ball head fracture rate significantly decreased with increasing head size. Since 2000, CeramTec AG (Plochingen, Germany), the largest supplier of alumina THA bearings to orthopedic implant manufacturers, began a rigorous program of collecting failure data for its products. The result is a database that includes more than 3.6 million components of alumina (Biolox forte) and more than 1.5 million components of alumina matrix composite material (Biolox delta) for the period 2000 to 2010. 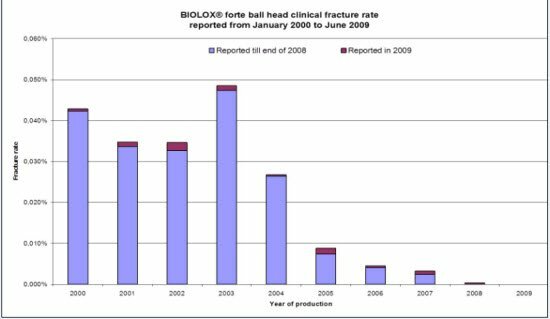 During this period, the incidence of failure was 1 in 5,000 (0.02%) for Biolox forte and 1 in 50,000 (0.002%) for Biolox delta components (Figure 5) [10,11]. Consequently, while fractures in ceramic components have not been eliminated, improvements in materials and surgical technique have enhanced reliability of modern ceramic components used in THA. Figure 5. Reported failures of ceramic components between 2000-2009. The rate of ceramic failures have steadily decreased over the past decade. Factors contributing to the decreasing rate include: 1) improved biomaterials; 2) improved prosthetic design; and 3) improved surgical technique and awareness for proper handling and implantation of ceramic components. Some surgeons have reported patient complaints of noise following ceramic THA in excess of 20% . A large series involving modern ceramic bearing designs more likely reports the true incidence of audible squeaking, ranging from 0% to 5% . Chen et al recently reported on 413 consecutive THAs using modern alumina THA design. They reported no squeaking at a last follow-up visit . Similarly, Haq et al reported only 15 patients with postoperative squeaking in a series of 1,002 patients (1.5%). They identified increased BMI, decreased acetabular opening angle, and limb length shortening as risk factors for squeaking . No study has correlated squeaking with impending failure or increased pain or disability. Therefore, it is safe to say the incidence of true squeaking following modern ceramic THA is low, its causes are unknown, and the presence of squeaking is not correlated with poor outcomes following THA. The results of modern ceramic-on-ceramic THA have shown the durability of ceramics with relative low incidence of complications, even in young and active patients. While some authors have reported acceptable survivorship in young THA patients using metal and polyethelyne bearings, others have noted an unacceptably high rate of complications related to polyethelyne wear in this population . Dowdy et al reported on a group of 41 THAs in patients younger than age 50 years. At an average of only 5.3 years, the authors found evidence of polyethelyne wear in 49% of the hips . Recent reports on long-term survival of ceramic-on-ceramic THAs have been more favorable than metal-on-polyethelyne, with 10-year survivorship exceeding 99% . Hsu et al reported 96.3% survivorship at a minimum 10-year follow-up, with no fractures or aseptic loosening. One patient was revised for squeaking . Kamath et al had only one failed ceramic liner in a series of ceramic THAs in patients younger than age 21 years. At last follow-up, there was no evidence of loosening or osteolysis . There is ample literature supporting the reliability and longevity of ceramics as a bearing surface option for THA in young and active patients. Orthopaedic surgeons can choose to implant a 36-mm ceramic head into a 50-mm acetabular shell, with a potential to increase head size up to 44 mm in a 54- to 58-mm cup (Figure 6) [21,22]. Figure 6. Biolox delta on delta articulation. Because of the improved material properties of ceramics, the newest generation of enriched alumina allows for larger ball head sizes and options at smaller cup diameters (36 mm ball in a 52 mm acetabular shell). Historically, these options have only been available in MoM bearings. 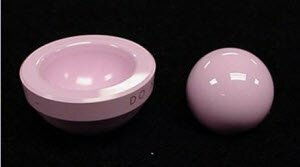 The Biolox delta ball and cup options may level the playing field between ceramics and historically an advantage only available to metal on metal advocates without the risk for metal hypersensitivity or pseudotumor formation . Finally, recent reports of failed, painful hip replacements attributed to fretting and corrosion between the femoral neck trunion and metal femoral head  interface have also rekindled the interest of ceramic head use, even in conventional THA. While the true cause(s) of this type of wear is unknown, retrieval studies have shown less trunion fretting and corrosion in ceramic heads compared to conventional metal heads . Consequently, the demand and popularity for ceramics in hip replacement surgery maybe increasing. Improvements in manufacturing, materials, prosthesis design, and surgical technique have enhanced the durability and reliability of ceramics in THA. The literature supports the use of this bearing couple, with good long-term results and low complication rates even in the young hip patient. In this new age of cost-conscious medicine, however, surgeons need to be good stewards of technology and be fiscally responsible when considering the potential advantages of a device or bearing surface versus the potentially added costs. Nevertheless, as the use of ceramics enters the fourth decade, and with the decreasing popularity of MoM bearings in hip replacements, ceramic-on-ceramic bearings are the only safe hard-on-hard bearing surface suitable for implantation. Gwo-Chin Lee, MD, is an Assistant Professor at the University of Pennsylvania, Philadelphia, Pennsylvania. Learmonth ID, Young C, Rorabeck C. The operation of the century: total hip replacement. Lancet 2007; 370(9597):1508-1519. Ries MD, Link TM. Monitoring and risk of progression of osteolysis after total hip arthroplasty. Instr Course Lect 2013; 62:207-214. Babovic N, Trousdale RT. Total hip arthroplasty using highly cross linked polyethelyne in patients younger than 50 years with minimum 10 year follow up. J Arthroplasty 2013; 28(5):815-817. Bozic KJ, Kurtz SM, Lau E, et al. The epidemiology of revision total hip arthroplasty in the United States. J Bone Joint Surg Am 2009; 91(1):128-133. Lombardi AV Jr, Barrack RL, Berend KR, et al. The Hip Society: algorithmic approach to diagnosis and management of metal on metal arthroplasty. J Bone and Joint Surg Br 2012; 94(11 Suppl A):14-18. D’Antonio JA, Sutton K. Ceramic materials as bearing surfaces for total hip arthroplasty. J Am Acad Orthop Surg 2009; 17(2):63-68. Bal BS, Garino J, Ries M, et al. A review of ceramic bearing materials in total joint arthroplasty. Hip Int 2007; 17(1):21-30. Catelas I, Jacobs JJ. Biologic activity of wear particles. Inst Course Lect 2010; 59:3-16. Porat M, Parvizi J, Sharkey PF, et al. 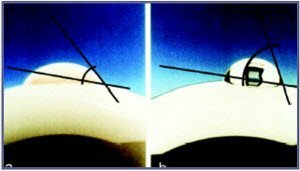 Causes of failure of ceramic on ceramic and metal on metal hip arthroplasties. Clin Orthop Relat Res 2012; 470(2):382-387. Lee GC, Garino JP. Reliability of ceramic components. Sem Arthroplasty 2011; 22(4):271-275. Lee GC, Gee AO, Garino JP. Incidence of modern alumina ceramic bearing failures in 3 million hip implants. Proceedings of Annual Meeting of American Academy of Orthopaedic Surgeons, American Academy of Orthopaedic Surgeons 2010. Hothan A, Huber G, Weiss C, et al. The influence of component design, bearing clearance and axial load on the squeaking characteristics of ceramic hip articulations. J Biomech 2011; 44(5):837-841. Parvizi J, Adeli B, Wong JC, et al. A squeaky reputation: the problem may be design dependent. Clin Orthop Relat Res 2011; 469(6):1598-1605. Chen WM, Wu PK, Chen CF, et al. No significant squeaking in total hip arthroplasty: a series of 413 hips in Asian people. J Arthroplasty 2012; 27 (8): 1575-1579. Haq RU, Park KS, Seon JK, et al. Squeaking after third generation ceramic on ceramic total hip arthroplasty. J Arthroplasty 2012; 27(6):909-915. Hsu JE, Kinsella SD, Garino JP, et al. Ten year follow up of patients younger than 50 years with modern ceramic on ceramic total hip arthroplasty. Semin Arthroplasty 2011; 22(4):229-233. Dowdy PA, Rorabeck CH, Bourne RB. Uncemented total hip arthroplasty in patients 50 years or younger. J Arthroplasty 1997; 12:853-862. Lee YK, HA YC, Yoo JJ, et al. Alumina on alumina total hip arthroplasty: A concise follow up at a minimum of ten years of a previous report. J Bone Joint Surg Am 2010; 92:1715-1719. Kamath AF, Sheth NP, Hosalkar HH, et al. Modern total hip arthroplasty in patients younger than 21 years. J Arthroplasty 2012; 27(3):402-408. Rack R, Pfaff HG. Long term performance of the alumina composite matrix biolox delta. In Aldo T, Willmann G (eds): Proceedings from the 6th International Biolox Symposium, George Thieme Verlag, 2002. Cai P, Hu Y, Xie J. Large diameter delta ceramic on ceramic versus common sized ceramic on polyethelyne bearings in THA. Orthopedics 2012; 35(9):e1307-1313. Triclot P, Gouin F. Update—“Big Head”: the solution to the problem of implant dislocation? Orthop Traumatol Surg Res 2011; 97(4 Suppl):S42-48. Cooper HJ, Della Valle CJ, Berger RA, et al. Corrosion at the head neck taper as cause for adverse local tissue reaction after total hip arthroplasty. J Bone Joint Surg Am 2012; 94:1655-1661. Kurtz SM, Kocagoz SB, Hanzlik JA, et al. Do ceramic femoral heads reduce taper fretting corrosion in hip arthroplasty? A retrieval study. Clin Orthop Relat Res 2013; 471:3270-3282.